Ready for movies like Max Steel that bring it just when the world looks lost? Yeah me too! That’s why I put together a new list of superhero movies that you have to try. You might notice this list includes a general theme of the world is going to end soon, and most include robots or aliens.. or both! We all know it would be terrifying if robots did try to take over the world whether they are from our planet or another. Let these movies like Max Steel sweep you away! Max Steel is an upcoming science fiction action superhero movie that is set to hit theaters on October 14, 2016. The film stars Ben Winchell, Ana Villafane, Andy Garcia, Billy Slaughter and Maria Bello. 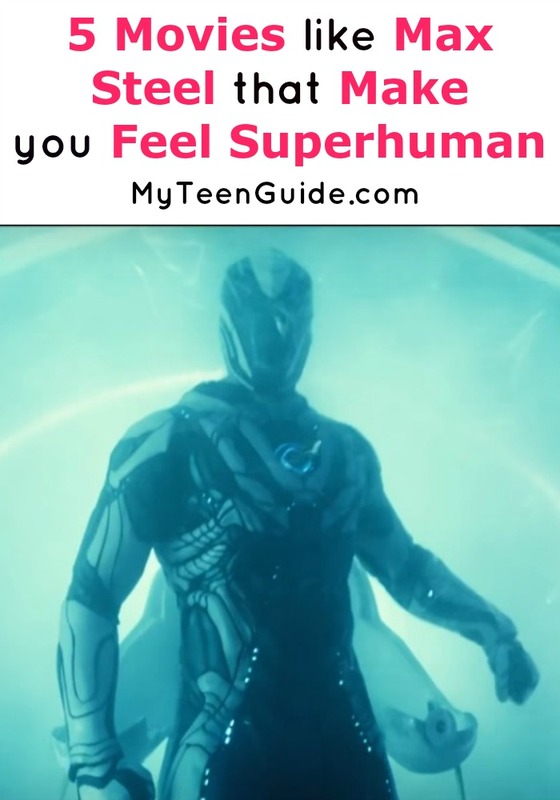 The movie is about a Max McGrath, a teenager with the gift of superhuman powers and his sidekick Steel, who harness their new powers together to create Max Steel, a superhero that is turbocharged. Here are some other movies like Max Steel. Transformers is a 2007 sci-fi action movie that is based on the Transformers toy line. It is the 1st movie in a series of 4, with the other 3 being the 2009 Transformers: Revenge of the Fallen, the 2011 Transformers: Dark of the Moon and the 2014 Transformers: Age of Extinction. The movie is about the struggle between Autobots, a heroic race and Deceptions, an evil race. The fight between the Cybertronian races arrives on Earth, where a teenager named Sam holds the clue to the ultimate power. Transformers stars Shia LaBeouf as Sam Witwicky, Tyrese Gibson as Sergeant Robert Epps, Josh Duhamel as Captain William Lennox, Megan Fox as Mikaela Banes and Jon Voight as John Keller. The Avengers is a 2012 superhero movie based on the superhero team of the same name from Marvel Comics. It is the prequel to the 2015 Avengers: Age of Ultron. The movie is about a group of Earth’s heroes who team up to stop Loki and his alien army from controlling Earth. The Avengers stars Robert Downey Jr. as Tony Stark/Iron Man, Chris Evans as Steve Rogers/Captain America, Mark Ruffalo as Bruce Banner/Hulk, Chris Hemsworth as Thor, Scarlett Johansson as Natasha Romanoff/Black Widow and Jeremy Renner as Clint Barton/Hawkeye. Battle of the Damned is a 2013 sci-fi movie that tells the story of the aftermath of a deadly viral outbreak. A military soldier, Max, is in charge of a small group of survivors as well as a team of robots, who are in a fight against an army of the dead. Battle of the Damned stars Dolph Lundgren as Major Max Gatling. After Earth is a 2013 sci-fi action adventure movie that stars real-life father and son, Will Smith as Cypher Raige and Jaden Smith as Kitai Raige. The movie is about Cypher and his son being stranded on Earth after a crash landing. Earth has been abandoned after an environmental cataclysm forced humanity to take refuge in a new world. G.I. Joe: Retaliation is a 2013 military sci-fi action movie that is the sequel to the 2009 G.I. Joe: The Rise of Cobra. The film showcases the team of G.I. Joes who are in a fight with Cobra, their mortal enemy. They also find themselves in a struggle with government threats as well. G.I. Joe: Retaliation stars DJ Cotrona as Dashiell Faireborn/Flint, Byung-hun Lee as Thomas Arashikage/Storm Shadow, Ray Park as Snake Eyes, Adrianne Palicki as Jaye Burnett/Lady Jaye, Jonathan Pryce as the President of the United States, Channing Tatum as Conrad Hauser/Duke, Bruce Willis as General Joseph Colton and Dwayne Johnson as Marvin Hinton/Roadblock. So which of these movies like Max Steel are you adding to your movie list? Tell me all about your favorites or what you’ve seen from this list in the comments!